On the pulse of time. Do you fancy a romantic castle hotel? Hidden behind a large gate, opens a very special world – just for you! Whether newly in love or still in love, you will find in our special boutique hotel, the small castle hotel in Lübeck, an island to relax and enjoy. Experience in the Lübecker Krönchen, the romantic hotel next to Lübeck’s old town, an unforgettable experience. 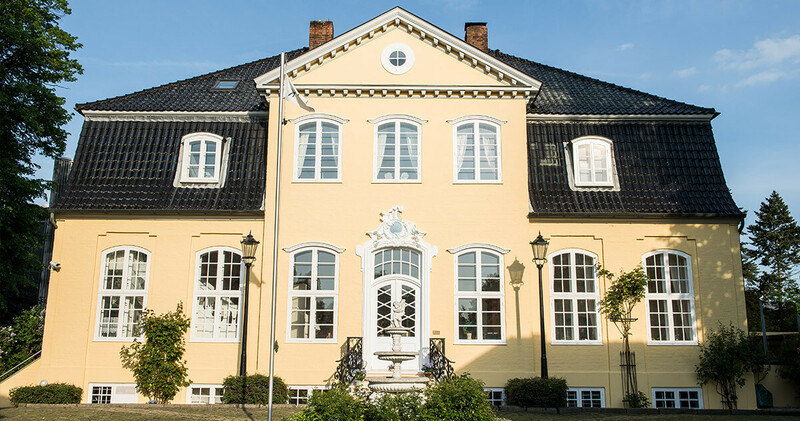 You are warmly welcome: as the value appreciators, hopeless romantics, individualists, short time holiday makers, Lübeck explorers, weekend cuddlers, honeymooners, wedding planners or business travelers, who want to make use of the inspiration of a castle hotel for positive energy! 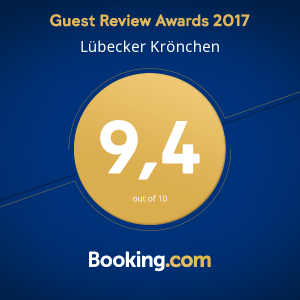 We thank our many great guests who accompanied us in the first few months and encouraged us with their outstanding reviews. The Lübecker Krönchen is a romantic hotel castle through and through. Already with the entrance into the small “castle square” you will be taken into another world and you can leave your daily life behind. Our guests are again and again fascinated to experience in Lübecker Krönchen a small gem in the middle of the bustling port of Lübeck and industrial area, as a real hideaway, where they feel the magic of history in all the rooms of the castle and yet they do not have to do without modern luxury. You should feel also like the lords of the castle during your stay with us and with our informal service of a hotel garni that leaves you a lot of space for unforgettable private moments. For the guests, only the best: already in the morning let yourself be spoiled with a lovingly arranged and selected breakfast, preferably with local products, which depending on the time of year, grow in the region. What does not grow in the vicinity, is fair traded – that is our promise to you, so that you can enjoy carefree and to the full the Lübeck Krönchen. Put on a little crown each day!